Suffering from the pain and annoyance of sinusitis? If simple treatments don’t solve your struggles, seek help... and breathe better. It’s cold season, and your nasal passages and sinuses feel like they’ve been clogged with cement. You have the runny nose, congestion, and pain of sinusitis, and it seems like it’s been eons since you could breathe freely. With the help of simple remedies, sinusitis usually relents within a week or so. If your symptoms last longer, especially if they become chronic, see a doctor about getting to the root of the problem. Your problem could well be chronic sinusitis, yet it also may stem from other issues. Viral upper respiratory tract infections (colds) cause many acute sinusitis cases and usually clear up in about five to seven days with minimal symptomatic treatment. Some patients, however, develop bacterial sinusitis, with severe symptoms that do not resolve, or recur after you start to feel better. With any sinusitis, you can develop nasal congestion, thick mucus secretions, facial pain/pressure, decreased sense of smell, headache and fatigue. Less commonly, dental pain and fever may occur. Some people experience what they believe are sinusitis symptoms all year long. While chronic sinusitis may be to blame, so might nasal problems, such as allergies or non-allergic rhinitis. Also, structural defects in your nasal passages may block air flow and, along with functional problems in the lining of the sinuses and nasal passages, might prevent proper mucus drainage. A deviated septum, a nasal obstruction, or nasal polyps may have a hand in causing what you’re perceiving to be sinusitis. Many patients with acute viral sinusitis gain relief using over-the-counter nasal steroid or saline sprays as well as saline nasal irrigation to flush out their sinuses. Experts stress that caution should be exercised when using nasal decongestant sprays. Nasal swelling can result from the overuse of such products. Avoid topical decongestants particularly if your sinus issues are chronic. And limit them to three days or less if it’s a case of acute sinusitis. If it’s a bacterial sinus infection, you may require medical attention and treatment with antibiotics. Additionally, your doctor might need to retrieve cultures from your sinuses to identify the offending bacteria. 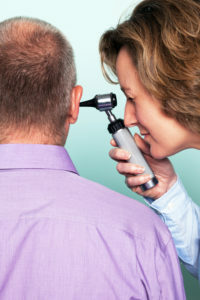 If you have chronic sinusitis, seek a referral to an ear, nose and throat (ENT) specialist, who can visually inspect your nasal passages and sinuses with an endoscope and, if necessary, an imaging scan of the sinuses. If your chronic sinusitis does not respond adequately to multiple rounds of medical therapy, talk to your ENT about surgery to clean out your sinuses, correct any structural abnormalities, and allow better access for medical treatment. To avoid spreading infectious agents, wash your hands frequently and cover your nose and mouth when you sneeze or cough. Use a humidifier or vaporizer to keep the air in your home moist. If you smoke, ask your doctor about ways to quit. Mix the ingredients and keep the solution in an airtight container. If you use boiled water, wait for the solution to cool. Lean over a sink and hold your breath. Insert a bulb syringe, neti pot, or squeeze bottle into your upper nostril, with the end pointing outward toward your ear, and spray/ pour the solution. Adjust your head position to allow the solution to drain out your lower nostril. Note: Regularly clean your syringe, neti pot, or squeeze bottle with boiled or distilled water; use a paper towel to dry it, or allow it to air dry. Deviated septum, allergic rhinitis, allergies, antibiotics, bacteria, baking soda, chronic sinusitis, dental pain, ear nose, facial pain, home remedies, infection, mucus, nasal congestion, nasal obstruction, nasal polyps, nasal problems, nasal swelling, nose and throat, nose congestion, pain, recipe, rhinitis, runny nose, sinus, sinus infection, sinusitis, sinusitis symptoms, stress, vaporizer. Please encourage people who have chronic sinus infections who have tried sinus rinses, multiple antibiotics and sinus surgeries to ask their doctor to have a sweat test for cystic fibrosis. My husband endured 5 sinus surgeries, multiple antibiotics over 30 years and was just diagnosed with adult cystic fibrosis at age 56. This is becoming more common.